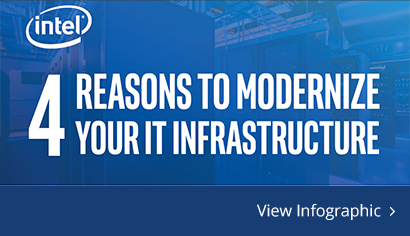 4 reasons to modernize your infrastructure. Microsoft Windows Server 2008 and SQL Server 2008 are nearing end of life, and leaving those unsupported is a big risk. Let's talk about how Intel Xeon processors can help you improve data center performance to handle any workload. Contact your Zones account manager or call 800.408.9663 today. Today's economy relies heavily on data, and digitally transformed organizations are pulling ahead by combining business outcomes with digital strategies made possible by modern IT infrastructure. Intel and Zones can help you transform your data center to power your most critical workloads so that you too can start winning in the digital economy. Intel Xeon Scalable processors set a new standard for agility and scalability across compute, storage, memory, network, and security. Designed to transform data centers, the Intel Xeon Scalable platform drives operational efficiencies that lead to improved total cost of ownership (TCO) and higher productivity for users. Intel® Ethernet Network Adapters, Controllers, and Accessories enable agility within the data center to effectively deliver services efficiently and cost-effectively. Worldwide availability, exhaustive testing for compatibility, and 35 years of innovation have made Intel® Ethernet products customers' choice for server network connectivity. Every day, the amount of data created across the world is exploding to new levels. Enterprises thrive on this data to make critical decisions, gain new insights from the data, and differentiate services. But, today's current storage technologies leave a technology gap in data storage tiers. The Intel® Optane™ SSD DC P4800X is the first product to combine the attributes of memory and storage. With an industry-leading combination of high throughput, low latency, high QoS and ultra-high endurance, this innovative solution is optimized to break through data access bottlenecks by providing a new data storage tier. 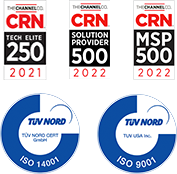 Delivering the latest in security, performance and expandability. While backed by a comprehensive warranty, makes it ideal for any server environment. 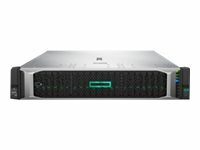 Delivers the perfect combination of performance and density for HPC and web-tech deployments with a feature set right-sized for scale-out infrastructure environments. Loaded with the features you need and nothing you don't – all in a slim, 1U design. Powerful processors give you outstanding performance so your employees can be productive.